By Michael Waldman. 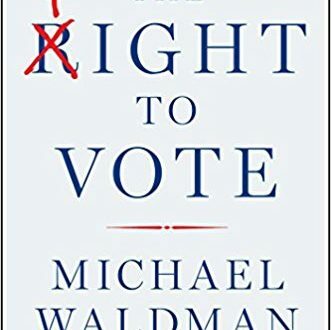 Traces the story of voting from the Founders’ debates to current restrictions: gerrymandering; voter ID laws; money from conservative nonprofit organizations; making voting difficult to the elderly, the poor, and the young by restricting open polling places. Describes the precedents for the arguments that have been at the center of American politics: from counting slaves but not permitting them to vote, to property-less males, then to free Blacks, women, eighteen-year-olds, and the disadvantaged, who were harassed by literacy tests up to the present when the right to vote is challenged by restrictions on open polling schedules and the requirement of IDs. Learn more.